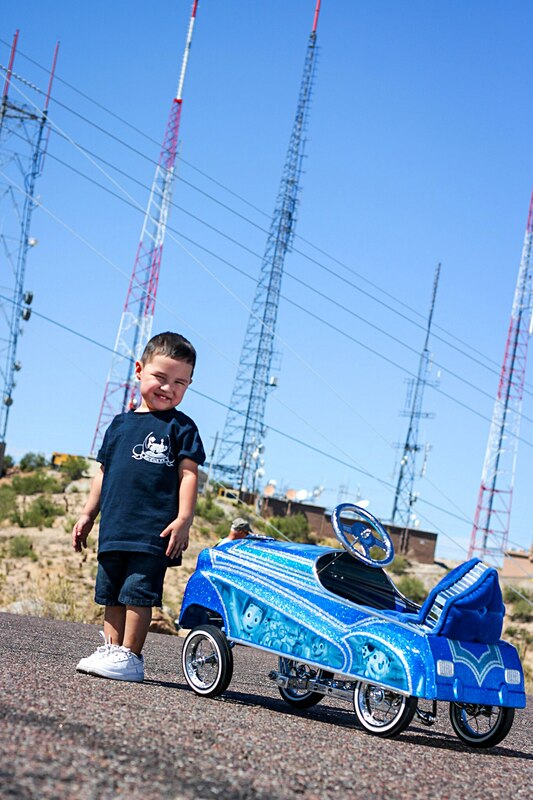 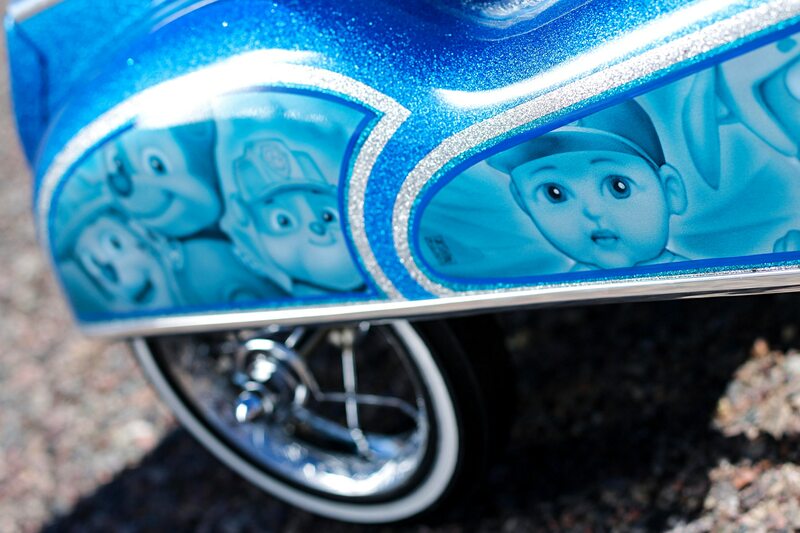 At 2 years old, Adriel Espinoza may have an affinity for cartoons, but it’s his natural attraction to lowriders and his parents love that really got him started. 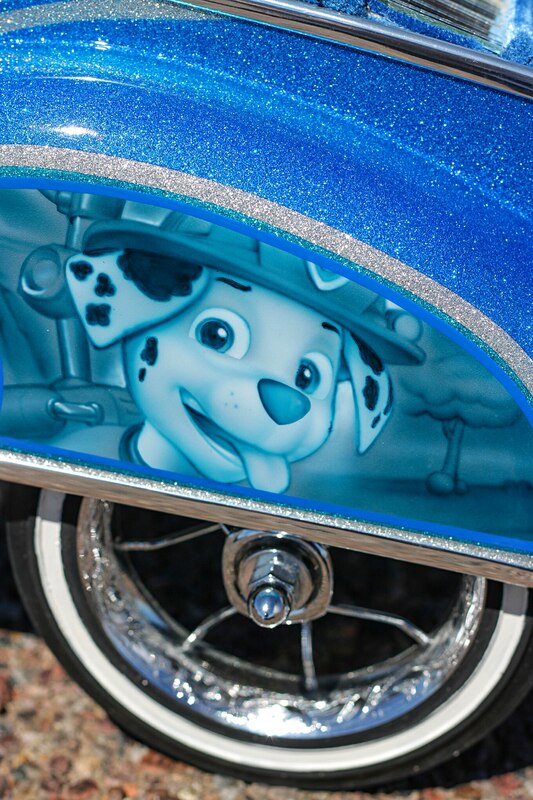 To combine the two, his parents got together to help build a push car of no compare, and in turn they combined his interest in lowriding along with his favorite cartoon PAW Patrol-the hit series on Nick Jr. about a band of dogs who rescue people in need. 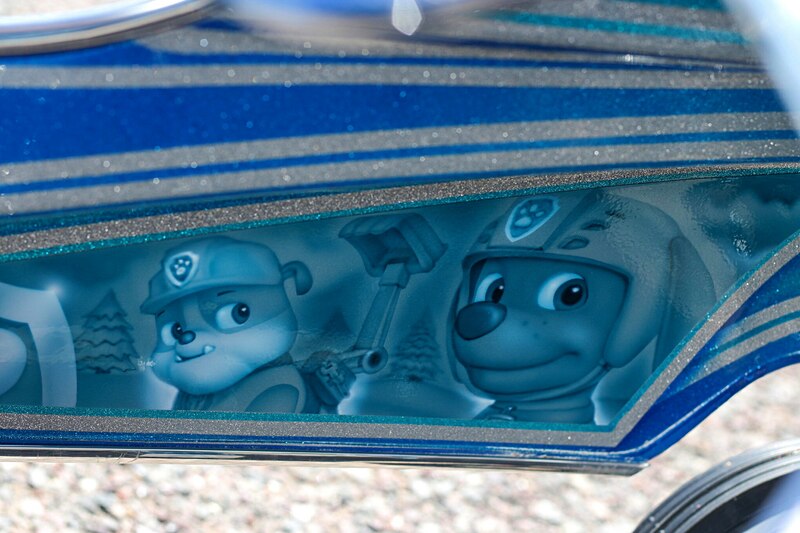 In each episode, before heading out to save people in distress, the dogs are briefed inside a tower called “The Lookout.” This became not only the name for the build but the central theme. 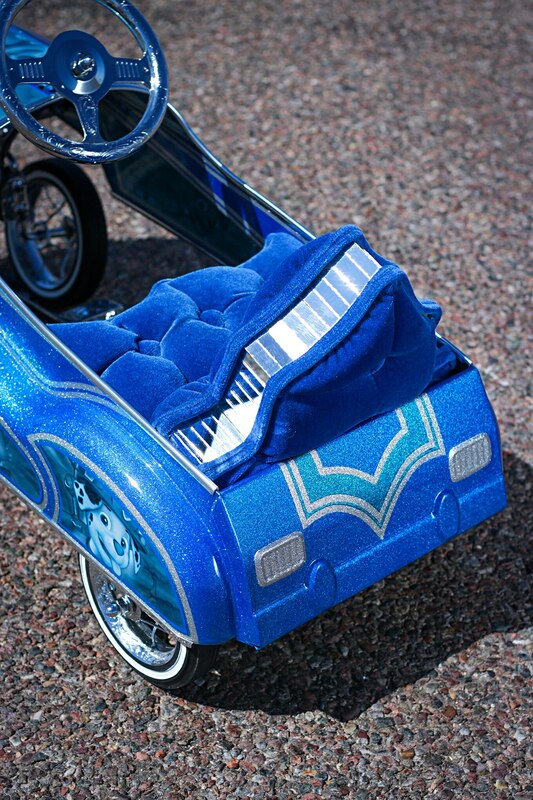 Jerry says he and his wife wanted to go all-out for their first son. 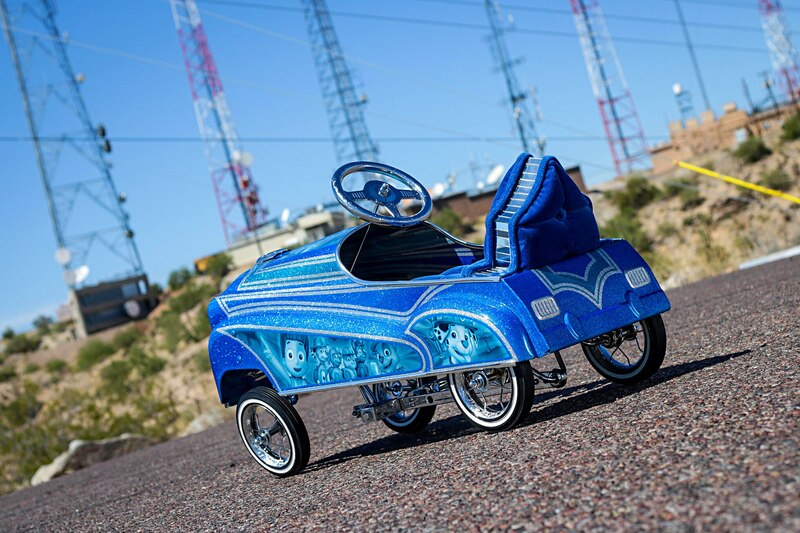 They wanted to give him a platform he could enjoy and a build that would give him the opportunity to experience the family values of lowriding. 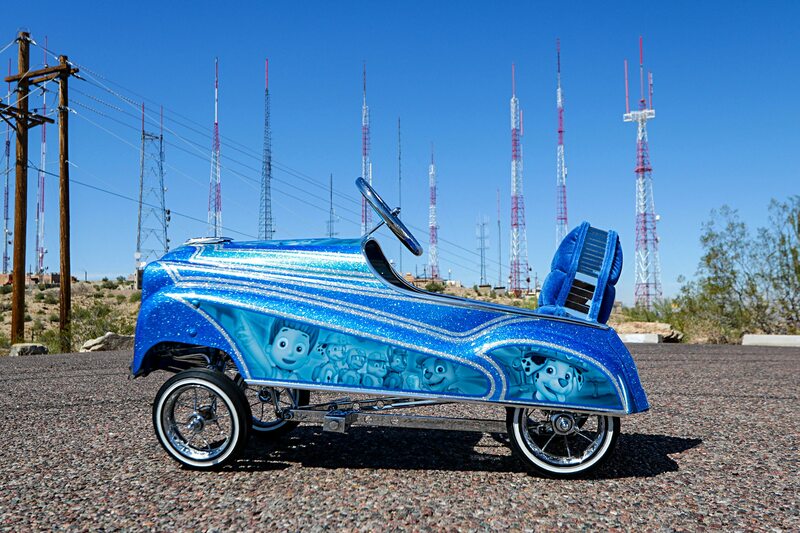 To do that they decided to build Adriel a ’50s pedal car. 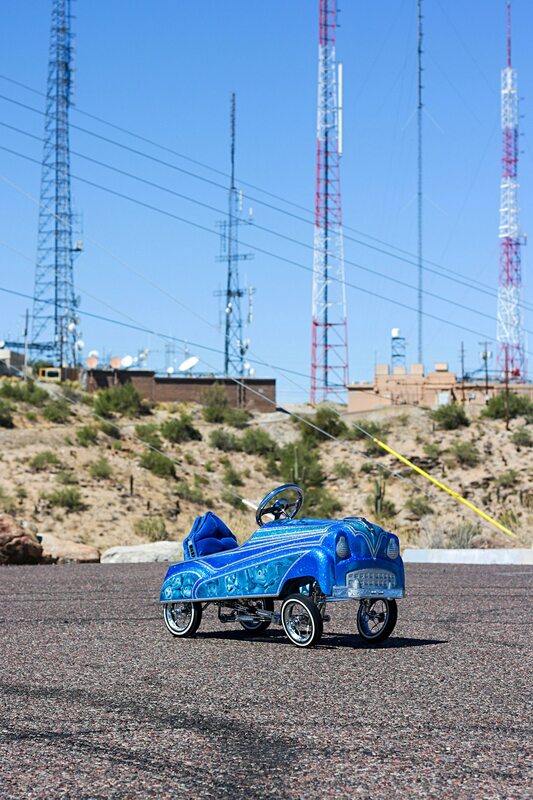 One look at the pedal car is enough to make you appreciate the hard work, but according to Jerry, Adriel’s car is far from done. 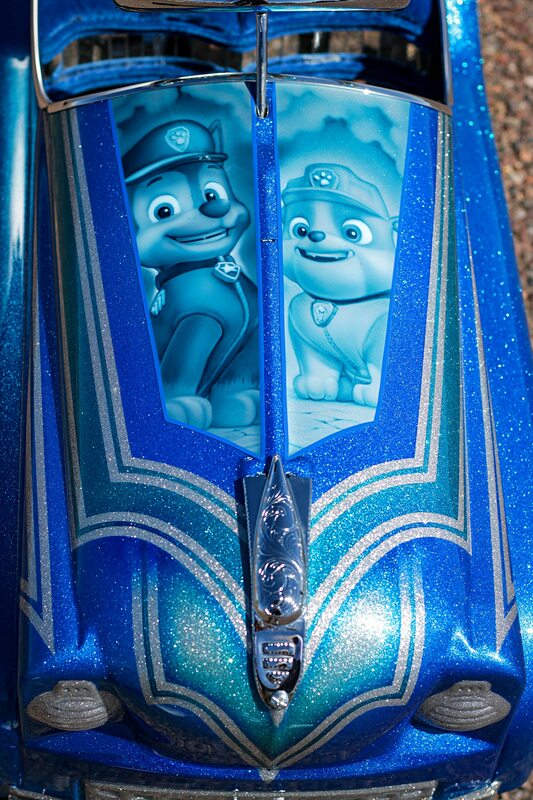 With plans to do even more, “The Lookout” has already made quite an impression on the fans, but it’s to be expected. 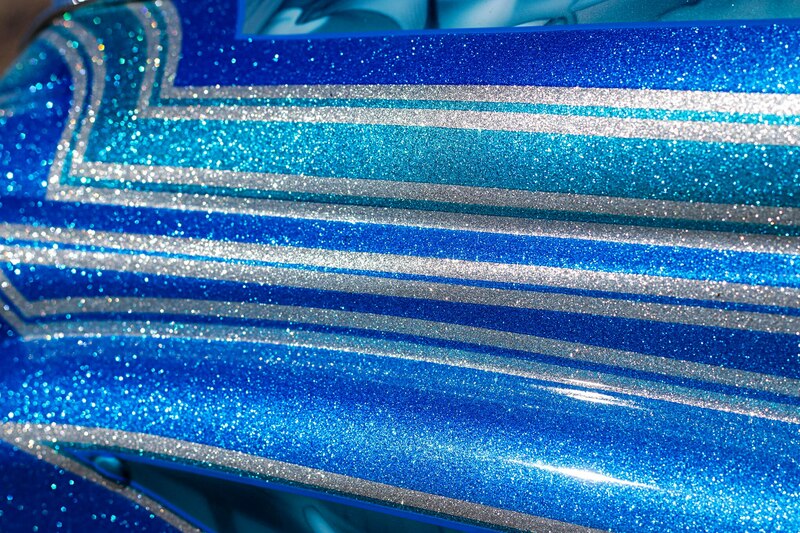 The eye-catching paintjob sports custom flaked-out patterns, airbrushed murals, and beautiful shades of blue. 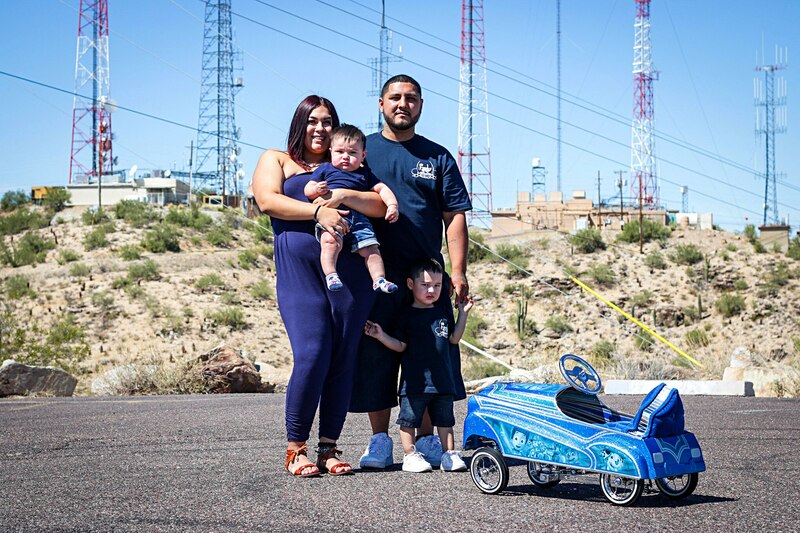 Even better is the fact that Jerry did the paintjob himself, thus giving Adriel an upper hand on the competition because talent is in the DNA of this family. 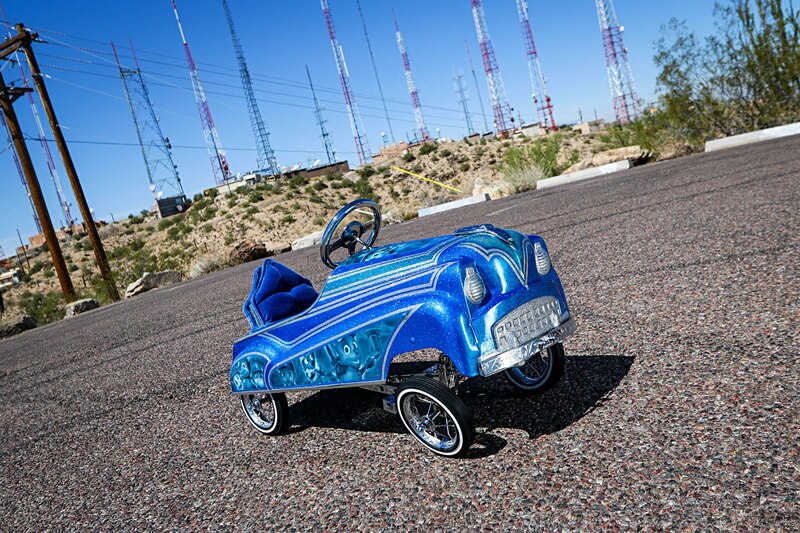 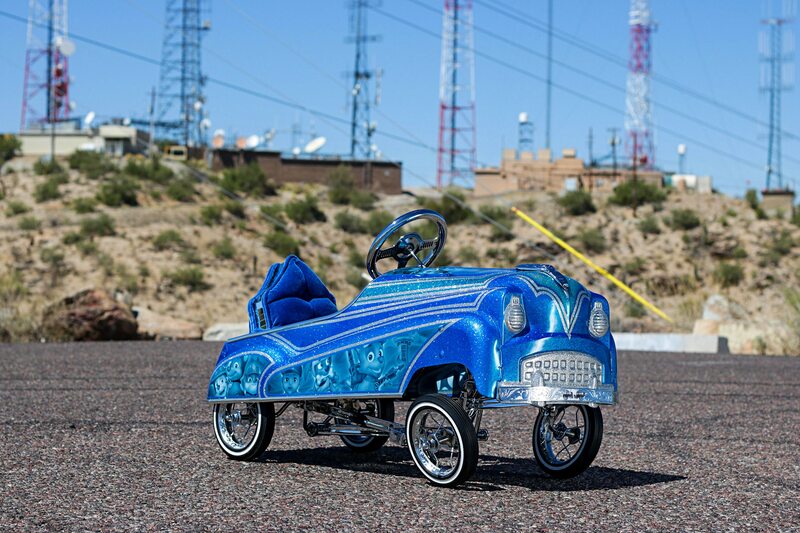 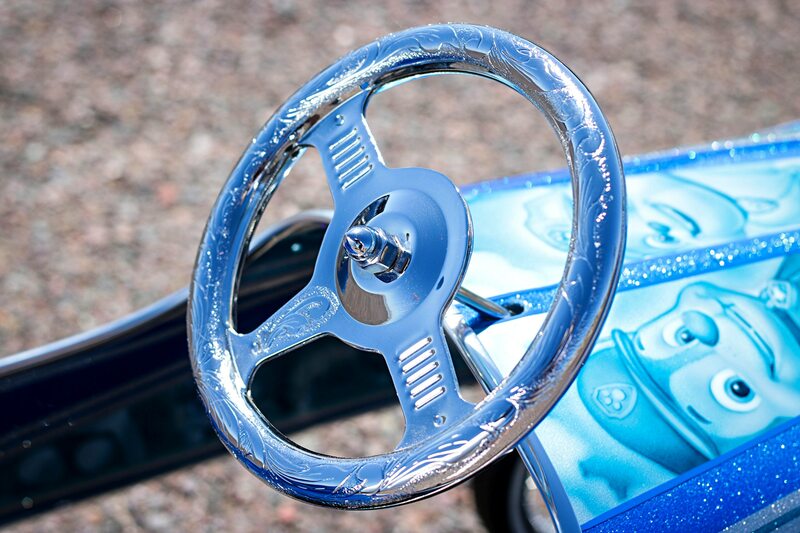 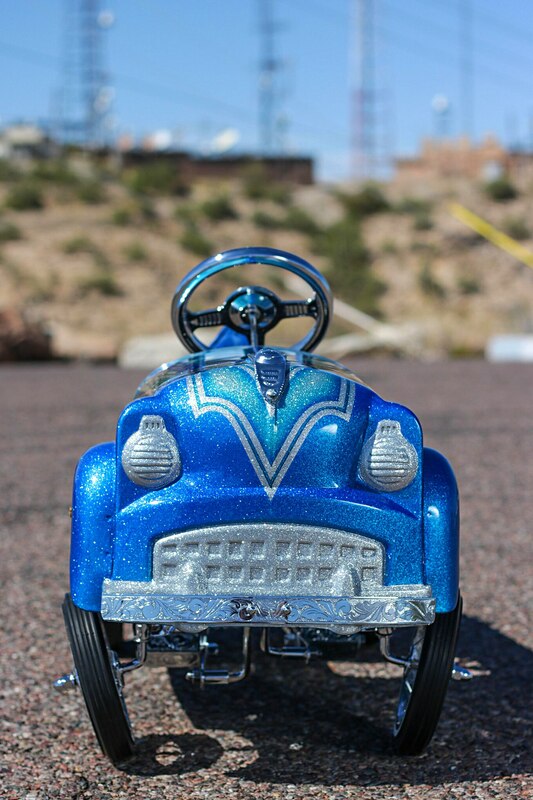 Adriel’s father, Jerry, painted the pedal car a variety of candy blue shades, using heavy flake in carefully laid-out patterns. 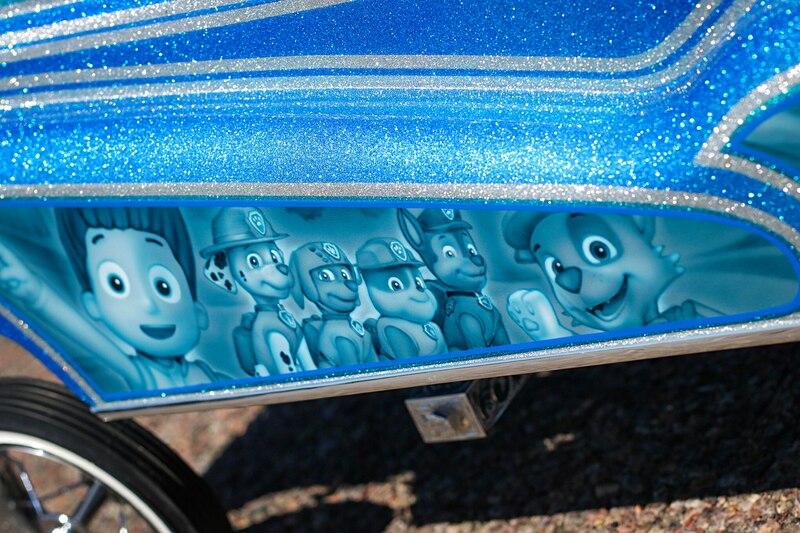 Chavos Pinstriping of Phoenix did the intricate pinstriping work while Tim Lowery of Glendale, Arizona, depicted Adriel and his favorite PAW Patrol characters in airbrushed murals. 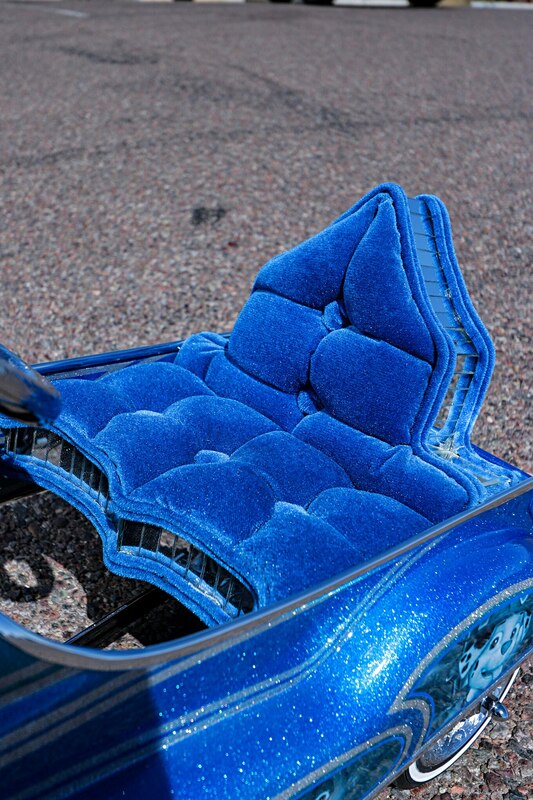 Roy and Lucy of Avondale took their time, stitching up a biscuit tuck upholstery with specially cut mirrors. 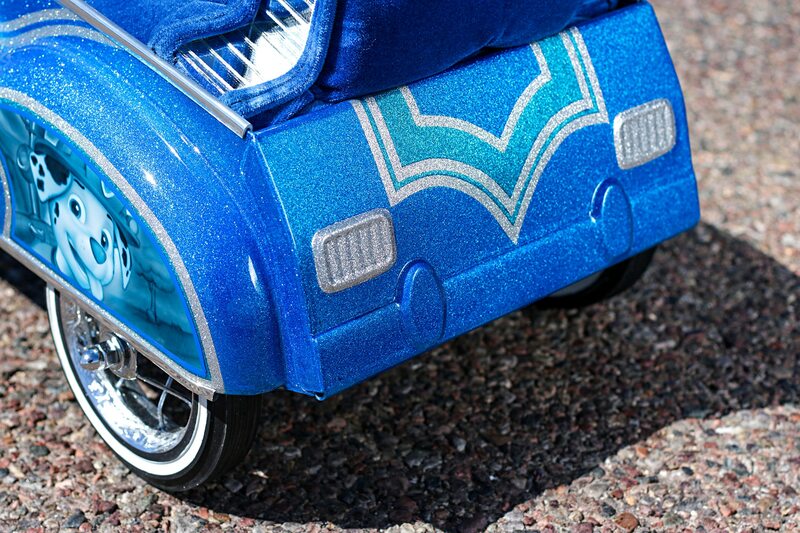 Radio Flyer wire wheels were chromed out to complement the ride. 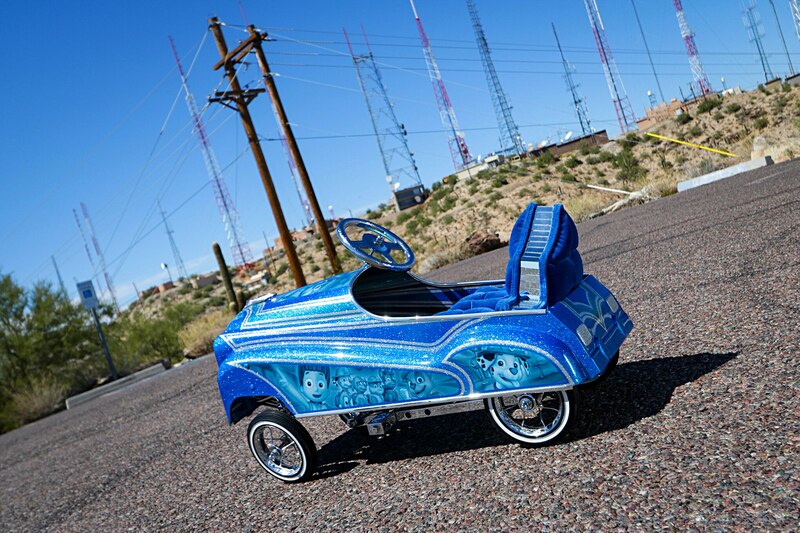 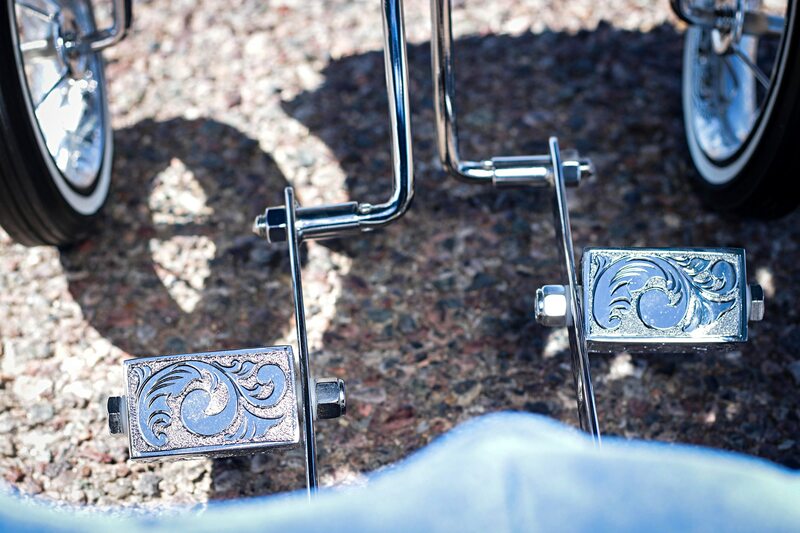 Krazy Kutting of Yuma, Arizona, added engraving to the wheels, pedals, and other parts for that luxurious touch.